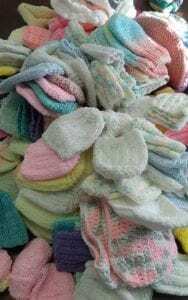 The Stony Brook Stitchers received a very generous donation from “The Ladies of the Wool” representing Saint Elizabeth Ann Seton Church in Lake Ronkonkoma. 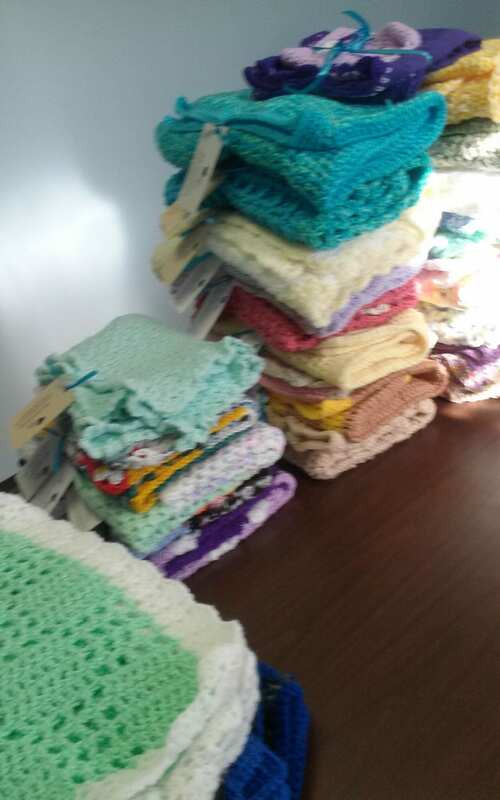 Janice M. leads the Ministry which creates small blankets, knitted or crocheted, that are given to people who are ill, in hospice care, in nursing homes, moving away from the parish, to unwed mothers for their babies, etc.. From their website, it says the “All those involved in the process (of creating donated items) commit to praying for those who receive the blankets”. The group meets twice a month on Saturdays and they have over 35 members who range in age from 14 to 80+. Thank you to “The Ladies of the Wool” for selecting Stony Brook Stitchers and donating your beautifully and lovingly created items. 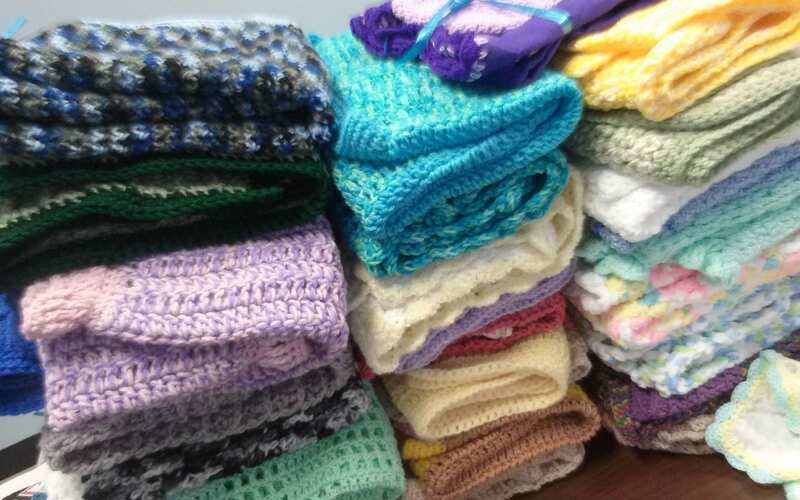 Your generosity is very much appreciated by the Stony Brook University Hospital community. Also, special thanks to Melissa P. for arranging delivery of the donated items. 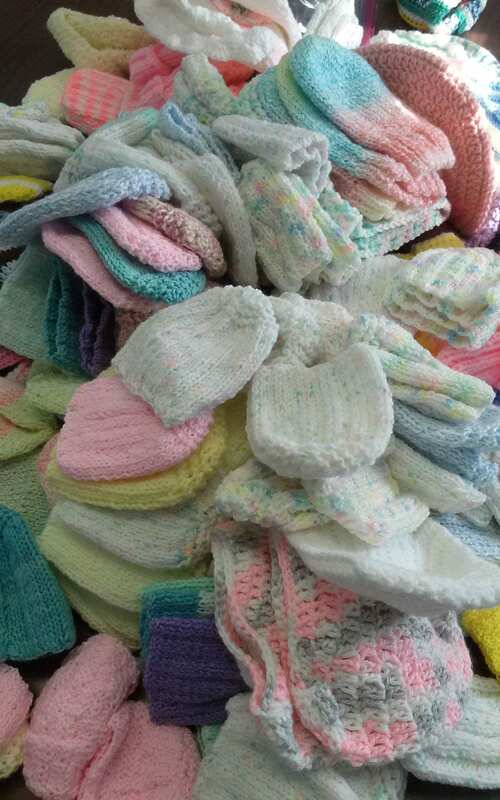 “The Ladies of Wool” donated: 166 baby hats, 1 baby hat and bootie set, 9 teen/adult hats, 37 lap blankets and 10 afghans. All the items were received and promptly distributed to SBUH patients in need. Visit Stony Brook Stitchers's profile on Pinterest.